On a hot afternoon, over a 100 degrees, we stayed inside and made some t-shirts. 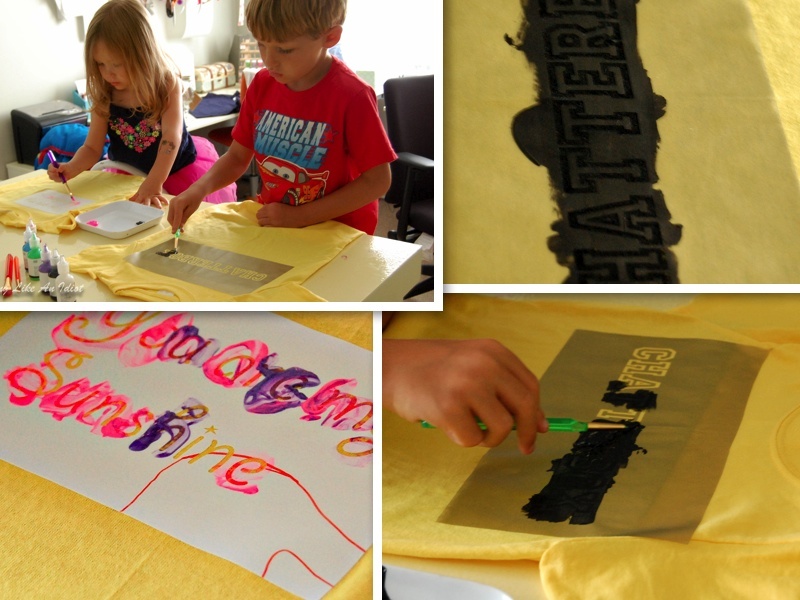 During the kids naps, I made a couple of stencils on my Silhouette Cameo machine: one for LilMan with the word "Chatterbox" in Varsity letters and "You are my sunshine" for Em with a rhinestone sun (the sun came free with the Silhouette Cameo Rhinestone kit). Kids projects take some prep work and about 30 minutes to actually execute. Before I cut the stencil I printed it out on paper to make sure the layout was the right size and, in Em's case, the two templates lined up right on the t-shirt. 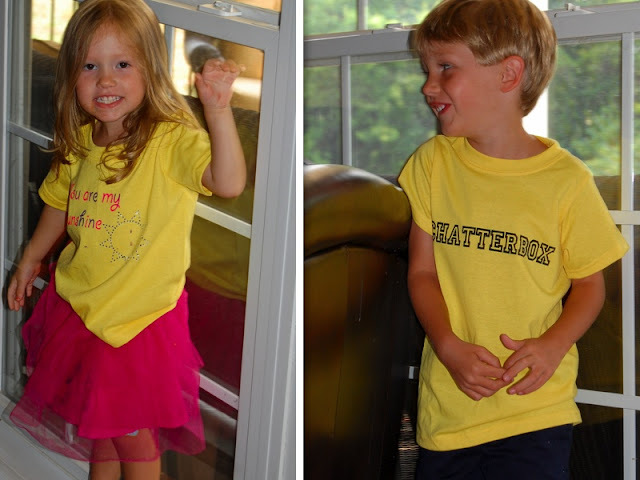 Cooperative models they are not, but they really like their personalized t-shirts (they even slept in them:) ).